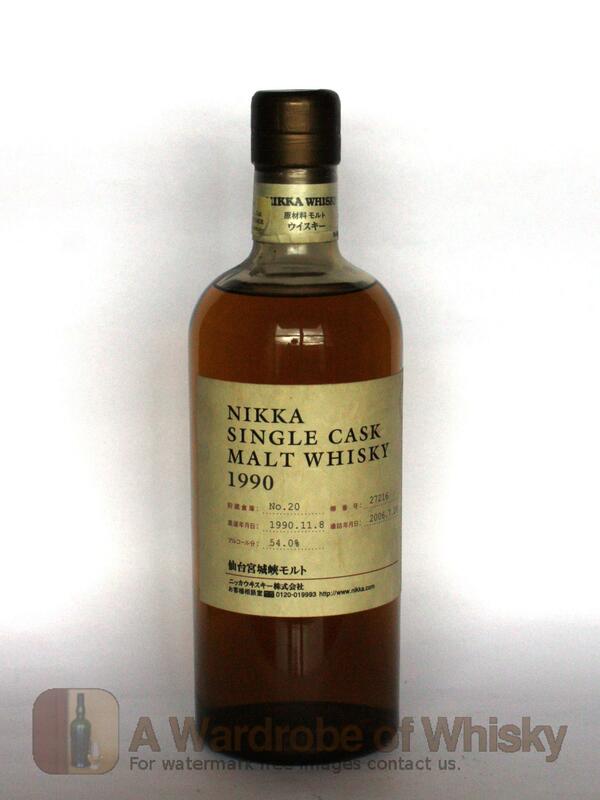 A single cask of Nikka Miyagikyo, this is from the 1990 vintage and has been bottled at its impressive full strength of 61% after 19 years of ageing in oak casks. Nose (88): inexistent. sweet, floral, marine, wood, sea salt, heather. First nosing data is innacurate as the previous tasting sheet lacked of this field. Taste (92): . sweet, peat, salt, wood, floral, vanilla. Bouquet data is innacurate as the previous tasting sheet lacked of this field. Finish (88): no finish. floral, wood, salt. Finish length is innacurate as the previous tasting sheet lacked of this field. These bottles have been chosen over others because their nose, taste and finish are more similar to Nikka Miyagikyo 1990 Single Cask than the rest. Go to Whisky-o-matic page to fine tuning other settings.